As Dubai prepares to host the World Expo in 2020, the economy continues to flourish and entrepreneurship is increasingly prominent in the region. Dubai is expecting to draw around 25 million visitors during the 6-month period and the Expo will promote the city’s status as a truly global city with world-class infrastructure and a hub for global business. After looking at past shows, a successful Expo can have a major impact on the host city’s economy. The Expo has the ability to showcase a nation’s strengths and talents on a global scale. A prime example of this is the Shanghai Expo held in 2010. The theme was Better City, Better Life and a staggering 73 million people attended the exhibition. It promoted Shanghai as a thriving, global city. The event not only highlighted China’s economic success but also encouraged new and long-lasting infrastructure developments that continue to benefit the nation today. Businesses in the UAE should be watchful of a few factors that can both create as well as complicate the opportunities formed in the lead up to 2020. To begin with, Dubai can expect a drastic increase in product demand leading up to and through the 6-month period. Demand will then decrease right after the Expo although probably not to previous levels. The long term economic effects of the event will be apparent as growth and then rise back up to Expo levels and possibly even beyond. It is imperative that businesses should foresee and plan for these patterns of changes. As we have already seen, three weeks into the win announcement, Dubai will receive an incredible amount of global attention in the lead-up. The event is already expected to attract tourists worldwide to the UAE. Media will also be more focused on the Expo and the region more broadly. However, as the world’s eyes turn towards the city over the next 5 years, local businesses will experience more competition for this attention. Preparing for and taking part in the Expo will require additional work. Furthermore, the scale and nature of this work also means that work will not be ‘business as usual’. The Expo does require new abilities and ways of working. The fast increase of demand may far exceed the capabilities of workers. At the same time, the growth presented by the Expo creates prospects, especially for entrepreneurs - or those that have entrepreneurial skills. Several ways in which business leaders may best utilize the opportunities surrounding the Expo. Firstly, local companies can use growth related to them as an opportunity to build upon and fund long term abilities. Doing this correctly means that managers have to identify sources of competitive advantage that are not easy to come by and which also provide value by demanding a higher price, or enabling lower costs. For example, businesses can focus on building a particular type of high quality service that can be expected to draw increasing demand in the changed post-Expo market. Or instead, companies might use growth surrounding the Expo to invest in equipment and process improvements that redesigns their cost curve and provides long term efficiency benefits. What matters most here is that increased sales around the Expo provide strategic opportunities for companies to move themselves to more attractive market positions. Secondly, managers should also be really mindful in determining affordable investments and long-term commitments that can reduce flexibility. A company can and should go ahead with investments that are expected to yield ongoing advantages and then be quickly paid for using growth in the economy related to the exhibition. The danger that occurs when managers face rapid growth however, is that they make long term commitments that assume growth is here to stay. One more strategy that companies can use to make the most out of the Expo win is to use the event as an opportunity to be at the centre of the world’s media. This method works best for services or products that are unique at a global level, such as luxury hotels and restaurants that have a distinctive identity and positioning. Startups and businesses that do not fit the stereotype of the ‘standard’ Dubai business may also be well positioned for capturing this media coverage. As the world looks towards the city in the upcoming years, companies operating in the region can use the media attention to their advantage to enrich their global image. Expo 2020 offers an ever-changing and dynamic playing field for businesses. But it will also bring more competition and dangers that surround long term obligations. 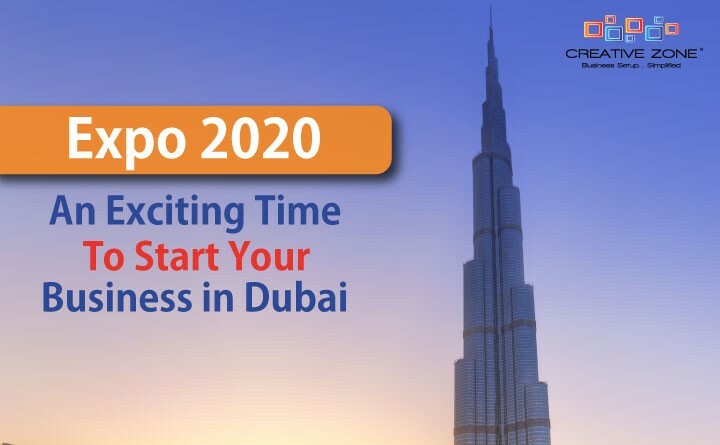 By focusing on where they want their company to be both during and after the Expo, business leaders and entrepreneurs can best exploit the many opportunities that the event will bring to the city of Dubai. We are the largest business setup firm in Dubai with over 5,000 successful company setups since 2010. Talk to our Business Setup Advisors to learn more about Mainland, Free Zone and Offshore company formations in the UAE.